In partnership with the Sacramento Metro Chamber, this free public event features preventive health screenings, lively fitness demos & community resources Sacramento, Calif., (June 16, 2015) – Unitek College today announced their first Sacramento Community Health and Wellness Fair in partnership with the Sacramento Metro Chamber. The 1st Unitek Sacramento Annual Health & Wellness Fair will be held Thursday, July 16 from 11:00 am to 2:00 pm and is free and open to the public. The event will bring together healthcare professionals for preventive screenings and government agencies to provide resources for seniors, veterans and the local community. A ribbon-cutting ceremony will kick off the event at 11:00 a.m. for Unitek College’s new dental lab campus expansion and the launch of their dental assisting program. 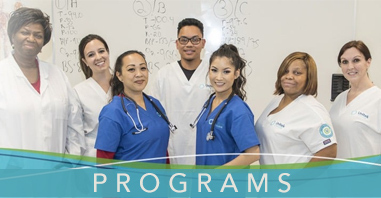 Unitek College Sacramento has been providing educational opportunities in vocational nursing, medical assisting and information technology for the Sacramento community since 2006. They have doubled total laboratory space in the past year and now offer over 10,000 square feet of real-world workplace learning space. Over 40 Sacramento businesses including Prime Time Boxing, Sky Zone Trampoline Park, Cal Fit & Bike, Sacramento Urban Gym, Home Instead Senior Care, ALLMED Medical Corporation and the Center for Community Health & Well Being will provide demonstrations, giveaways and classes for all ages. Government and community agencies such as California Phones and, Alternatives in Pregnancy Center, will be onsite providing instant access to resources and referrals. Attendees will have access to diet & exercise information, blood pressure and fitness testing, oral cancer and vision screening, glucose testing and free massages. Healthy snacks, juices and an ice cream truck will be available to attendees on a first-come, first-served basis. The health fair will take place at Unitek College’s Sacramento campus located at 1111 Howe Avenue, Suite 300, Sacramento, Calif. For more information and to RSVP for the event, call 888-518-6601. Detailed information and an event and campus FAQ is available to the media upon request. Unitek College serves its local Northern California communities with a campus in Fremont and campuses in Sacramento and San Jose. 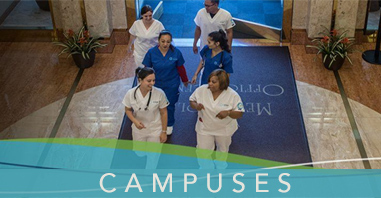 The vocational school offers a range of nursing programs including a Bachelor’s of Science (RN to BSN completion program), Certificate & Associate degrees in Vocational Nursing, and an LVN-to-RN Transition Associate degree. Other offerings include Medical Assisting, Pharmacy Technician and Information Technology certificate programs. The Baccalaureate Degree in Nursing program at Unitek College is accredited by the Commission on Collegiate Nursing Education (CCNE) (http://www.aacn.nche.edu/ccne-accreditation). Unitek College is also accredited by the Accrediting Commission of Career Schools and Colleges (ACCSC) and is licensed to operate as an accredited institution by the Bureau for Private Postsecondary Education (BPPE). The Vocational Nursing program is approved by the California Board of Vocational Nursing and Psychiatric Technicians (BVNPT). Unitek College’s LVN to RN Transition ADN program is approved by the Board of Registered Nursing. To learn more about Unitek College, and the programs offered at each of its campuses, visit www.unitekcollege.edu or call 888-518-6601.